What to do with a spare hour in Edinburgh? That was a dilemma I faced today. It was a toss up between going back to Union of Genius (a shop I visited in 2015 which only sells three soups each day and you can do a soup flight!) or finding a ramen place. Maki Ramen was just around the corner from where I was, they had a 4.4 rating on Google AND I really liked their logo, so the choice had been made for me. Hardly surprising that at 4pm I was the only customer, but the walls are decorated with post-it notes from customers and it’s clear to see that there’s a lot of love for this place. 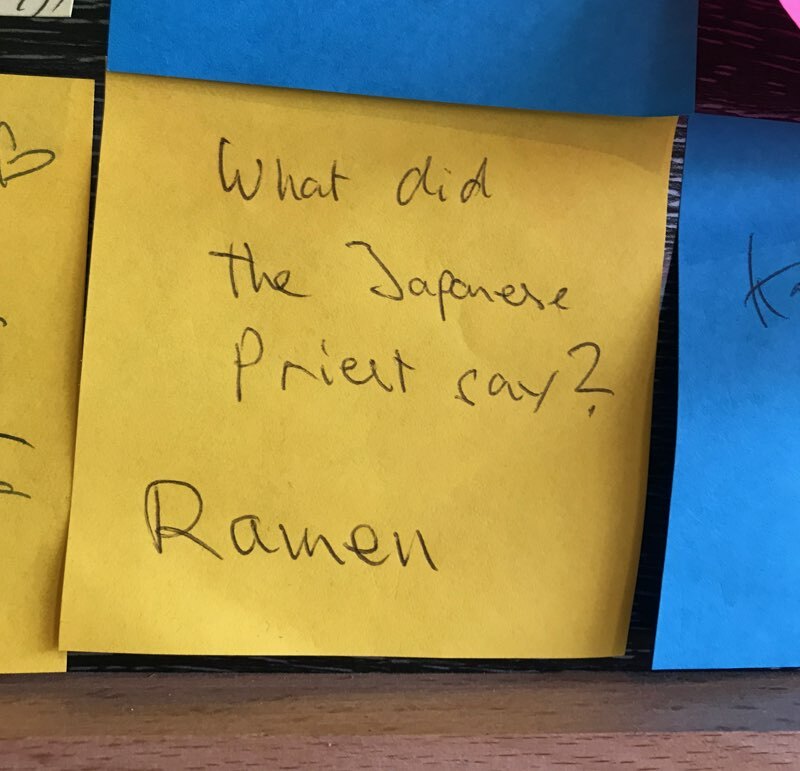 Bonus point for the ramen-based joke. 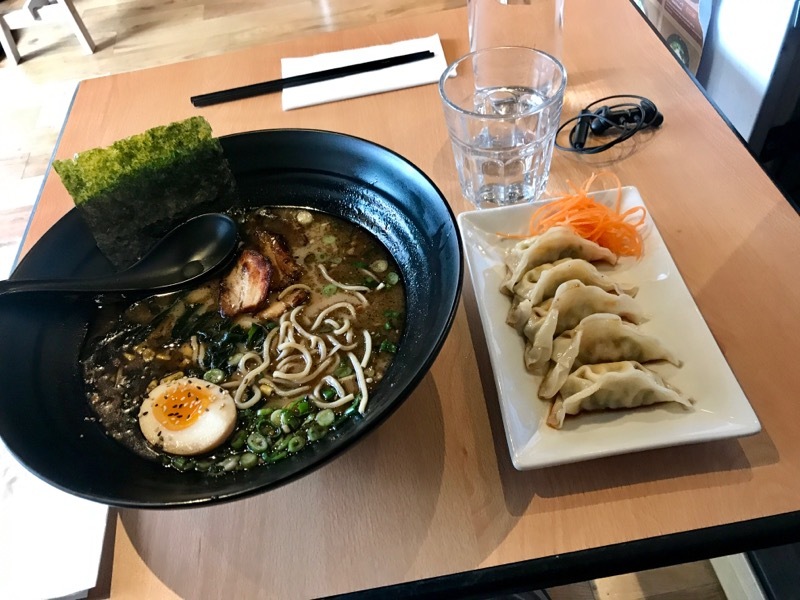 I ordered the vegetable gyoza and the black garlic tonkotsu (the online menu shows lots of different options that weren’t on the IRL one). The ramen arrived first; burnt garlic oil and garlic chips packed a powerful garlicky punch. The broth was perhaps on the less viscous side, especially considering it was a tonkotsu, but delicious all the same. The pork was perhaps a little dry, but they had scorched the outside edges to give a sweet, smoky crispness. The gyoza was disappointing. Firstly, I think I ordered vegetable but pork arrived (but I could have misordered) and the filling was a bit too pureed. That would have been ok ordinarily, but instead of a dipping sauce, the tangy ponzo had been drizzled over the dumplings. This made even the fried crispy part soggy, so it was all just a bit wet. Maki Ramen was good enough, relatively cheap, and well located. But other than the pork there was nothing extra special about it, so I’m awarding a middle-of-the-road 3/5.